What is the Cross Island Line? The Cross Island Line (CRL) is, as implied in its name, is a new MRT line spanning across the island. First announced in January 2013, the 50-kilometre line is expected to be completed by 2030. Unlike the East West Line which travels mostly along the Southern edge of Singapore, the Cross Island Line will serve and connect the Central and North-East areas to the East and West. The line will run from Changi to Jurong, passing through residential estates such as Loyang, Pasir Ris, Hougang, Ang Mo Kio, Sin Ming, Bukit Timah, Clementi and West Coast and terminating in the Jurong Industrial Estate. A branch line will connect Pasir Ris and Punggol. Why is the Cross Island Line necessary? The CRL will connect with all radial lines, providing commuters with many more travel routes to their destinations. A total of 13 interchange stations along its 30-odd station alignment will significantly enhance the resilience of the rail network. In addition, it will provide a important rail link between the Central, North-East and West areas. Travelling between this areas by means of public transport is heavily dependent on buses or multiple rail transfers. The area of controversy concerns the Central Catchment Nature Reserve (CCNR), which is the largest nature reserve in Singapore. It occupies over 2000 hectares of forest, and home to rich biodiversity. The Cross Island Line alignment, while unconfirmed, calls for a direct 4-kilometre long tunnel alignment, of which 2 kilometres runs underneath the CCNR, built 40m below ground. This prompted objections from stakeholders, including nature groups and members of the public. Why are there objections to the alignment? By tunneling underneath the CCNR, nature groups argue that construction work will affect flora and fauna within the Reserve. Furthermore, the CCNR was gazetted specifically for the conservation of flora and fauna, and construction work, no matter how minimal, would run contrary to the Government’s intentions to preserve the area in the first place. While LTA assures that no surface structures will be built, tunnel boring has to be preceded by soil investigation works, which involves the boring of 70-metre deep holes at 16 locations within the CCNR. Despite LTA assurances that environmental impact can be minimized, opponents argue that is not possible to completely eliminate the risk of pollution to the environment. What is the possible environmental impact? Soil Investigation is the main contribution to the environmental impact of the line. Apart from the drilling rig, the surrounding area (approximately 20 square metres) would have to be leveled and cleared for supporting equipment, such as a diesel/hydraulic power plant, fresh water and slurry tanks, grinding sludge, bore pipes and working space for the operators. Diesel, hydraulic fluid and lubricating oils are environmental pollutants which can possibly be released into the environment. After construction, soil erosion is a concern for the vacated grounds, owing to the sloping geography across most of the CCNR. While tunneling 40m below ground is likely to have negligible impact to the surface, environmental pollutants such as lubricants and hydraulic fluids leaking into the surrounding soil remains a possibility. 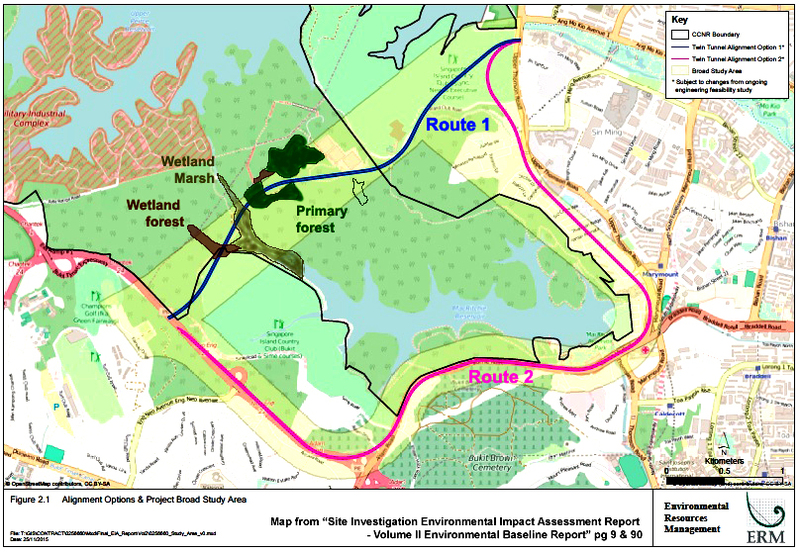 Three alignment routings were first considered, but the third alignment option cutting underneath the Macritchie Reservoir was ruled out primarily due to technical risks associated with tunneling along a geological fault line. The first alignment option is the most direct route, a 4-kilometre route cutting through 2 kilometres of the CCNR and subject to the most controversy. 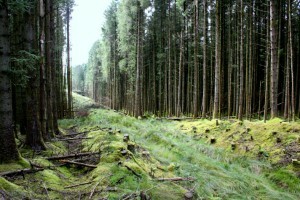 The route follows existing trails and disturbed areas of forest, minimizing areas to be cleared by soil investigation. The second alignment option is a 9-kilometre route that would skirt outside the CCNR, following existing roads along Lornie and Upper Thomson. Why not skirt outside the CCNR then? LTA estimates that an additional 2 billion dollars of construction costs would be incurred for the second alignment option. Travel time would also increase by six minutes, and in the words of Transport Minister Khaw Boon Wan, feed the flames of criticism towards LTA for the increased journey time akin to that of a train disruption increasing journey time of commuters. On the ground, construction work will be an additional inconvenience to residents in the Lornie and Upper Thomson area, notably in Upper Thomson where residents have already put up with the construction of the Circle Line and current Thomson-East Coast Line. Engineering challenges will be greater, owing to underground tunnels already running in the area, and residents are already adequately served by existing lines. Land acquisition might also be required for this second option. However, some have pointed out that 2 billion dollars in extra costs should be put into perspective, and pales in comparison to the cost of constructing the whole line, estimated to be at 40 billion. Why should the line cut through the CCNR? As a major public infrastructure project built to benefit future generations, a direct route would make the most sense. Commuters should benefit from faster travel times and not suffer the brunt of hand-wringing by parties opposed to infrastructure built for the public good. The opinions of green groups and some members of the public as seen on online platforms reflect on the shallowness of public understanding with regards to cutting through the CCNR, and the constant rhetoric of exaggerated environmental damage is misleading at best. The CRL will be fully underground, with no structures at surface level. No ventilation shafts, escape shafts or stations. Unlike the Bukit Timah Expressway, the line is not expected to bisect the CCNR above-ground, but to simply tunnel underneath it. The call for zero impact to the environment is simply a long shot. While environmental preservation is important, it must be realistically balanced with our needs in a land-scarce island like Singapore. The way forward will invariably involve sacrifice, and this was exactly why an Environmental Impact Assessment (EIA) was commissioned in the first place, to compare the pros and cons of either alignment with the input of stakeholders to come to a satisfactory decision. LTA has mentioned that disturbance to the CCNR will be kept to the absolute minimum. Soil investigation work will be carried out in the day only, and drilling rigs modified to minimize environmental impact. The number of boreholes, initially estimated at 72, have been cut to just 16, limited to existing trails and disturbed areas of forest. Trees to be cleared will be minimal to negligible. After the completion of soil investigation works, equipment will be dismantled and moved out with no further need for surface works. The additional estimated 2 billion in spending, should the alternative alignment be pursued, will have to be accountable to the taxpayer, a fairly large sum that could have been avoided. The Bus Service Enhancement Programme, costing $1.1 billion, already attracted controversy over excessive spending despite being crucial to funding significant improvements to the bus scene; now an additional 2 billion will be spent on an unnecessary detour costing travel time and additional maintenance costs. As Khaw Boon Wan said crudely, six minutes of extra travel time is more than the five minutes delay that would classify as a train disruption. Any commuter would be frustrated if a train dwells for a full six minutes for no good reason. Further inconvenience to residents would entail, whom would by then have already have bore the brunt of the construction of the Circle Line, Thomson-East Coast Line and the North-South Expressway. The takeover of private property for construction work has also been suggested, which would force residents to relocate. Additional stations at Upper Thomson would be unnecessary for residents have the Thomson-East Coast Line at their doorstep by then. In our opinion, the ‘skirting alignment’ is simply unnecessary public infrastructure that does not justify its extra cost as ‘simply not cutting through the CCNR’. We do not encourage unnecessary encroachment into nature reserves, but in this case, we do hope that pragmatism and sound judgement will triumph in bringing about the most direct alignment a reality. Are there alternative options other than the two put forth by LTA? 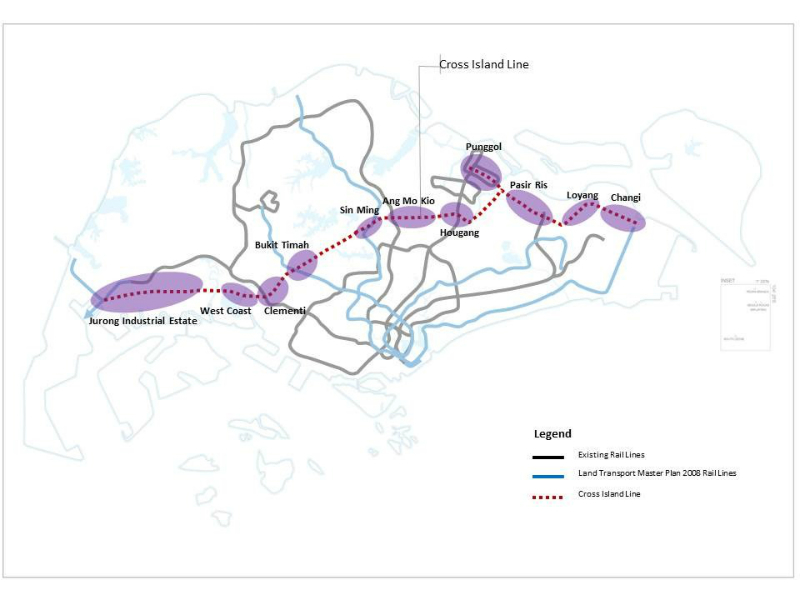 With the Government’s aim to have 80 per cent of homes within a 10-minute walk of an MRT station, calls to realign the Cross Island Line to serve new areas have been suggested. 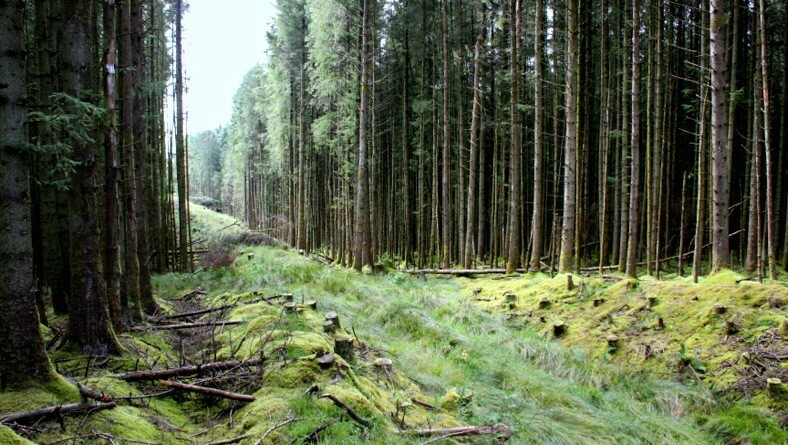 It makes little sense to build a line under a forested area – much less one that is protected by law – unless there is truly no other alternative. While the ‘skirting alignment’ looks like a needless detour, the line could be realigned accordingly to serve more housing areas, such as the upcoming Bukit Brown housing estate and other residential areas currently not served by the MRT. However, such an alignment will add to travel time and should be weighed against the areas that might not benefit from the new line as a result. What is LTA’s current stand on the controversy? As of March 2016, no decision has been made on which of the two alignment options to pursue. Much of the attention towards this issue arises from the first phase of an Environmental Impact Assessment (EIA) recently released by LTA, the first time an EIA was carried out for rail development. Extensive consultations with nature groups were undertaken to, as much as possible, limit construction works to areas that are less sensitive to biodiversity . An important point to note that the recent EIA documents released is simply the first of two phases. 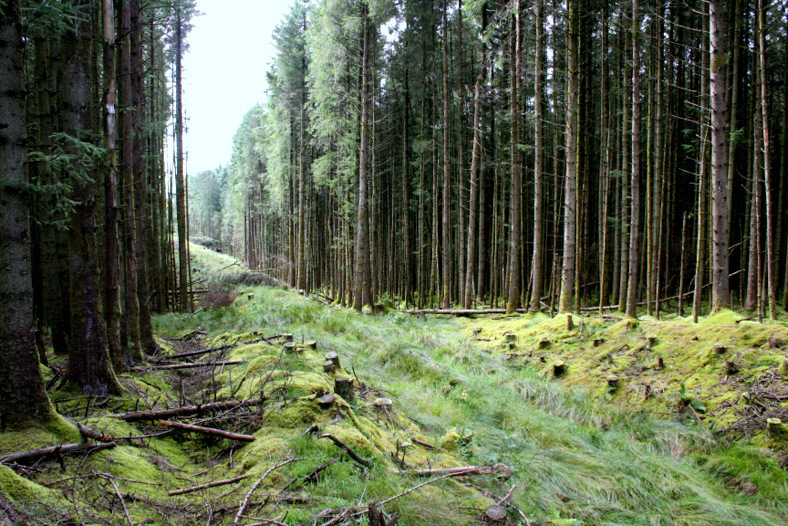 The focus of this EIA deals solely with the surface impact on the nature reserve if the various intrusive soil investigations are carried out in the forest. Phase 2 of the EIA, which accesses the environmental impact of construction and operation of the CRL, will be conducted in the second half of the year. If the alignment underneath the CCNR is chosen, construction of the MRT tunnel will be underground tunnelling from outside the nature reserve, and there will be no structures on the surface level of the CCNR. For the alignment which skirts outside the CCNR, underground MRT tunnels will go under homes, businesses and buildings. The Government will consider the views from all stakeholders before deciding on the final CRL alignment. Apart from environmental impact, the decision on the final CRL alignment will also take into account the need to maximise benefits to commuters and minimising impact to residents and businesses, the need for land acquisition, and costs to taxpayers. Public consultations will also be conducted.